Stop fussing with hard-to-reach chains on a ceiling fan or light switch You've found the perfect touch to your decor! 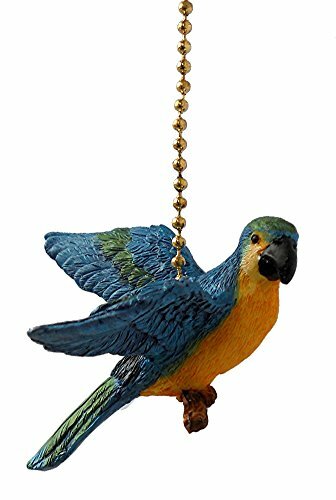 This Parrot Fan Pull is approximately 2-1/2 inches long. AWESOME detail!